Pediatric Cardiologist Dr. Joel Harnick explained the importance of having a defibrillator on the field and how easy it is to save a life using it. 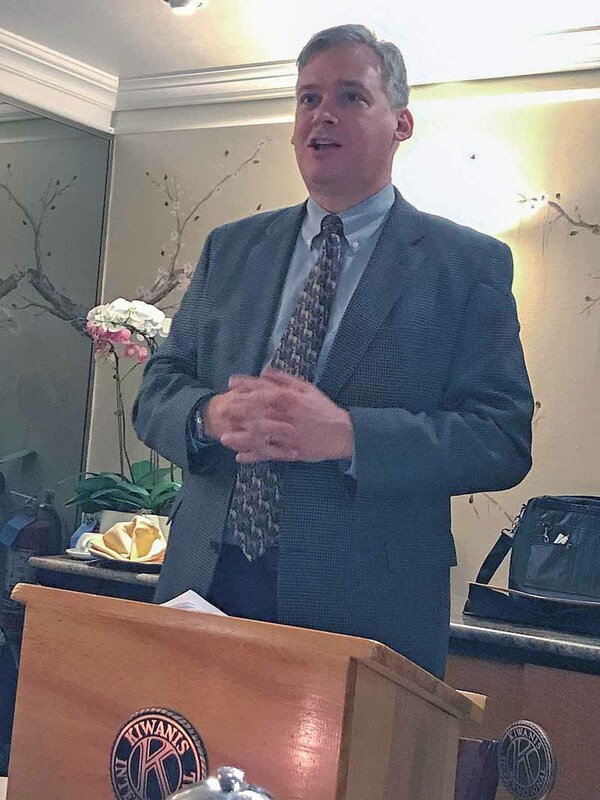 Dr. Joel Harnick, pediatric cardiologist at Pediatric Cardiology of Long Island, spoke with Kiwanis leaders about ways to prevent sudden death during the Kiwanis divisional meeting at Manhasset’s Pearl East on Monday, Feb. 6. 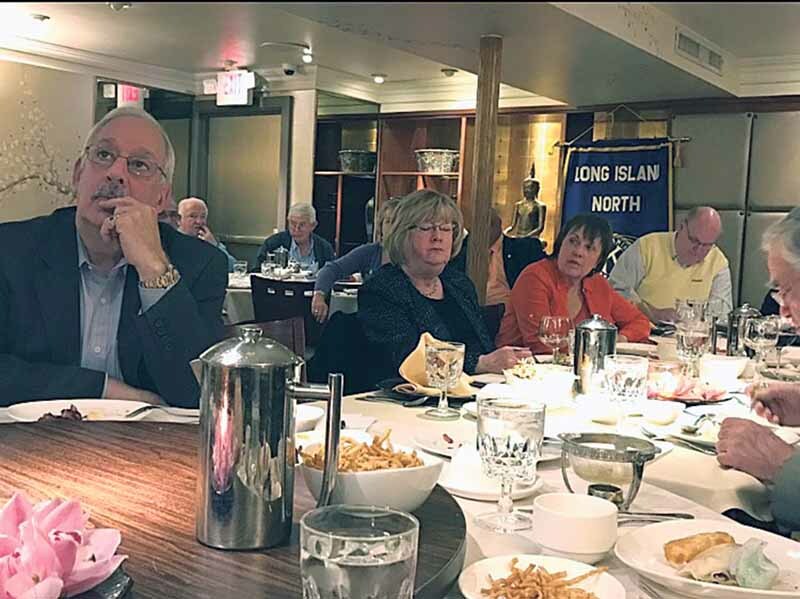 Jeanne Egan, director of operations at St. Francis Hospital and immediate past Kiwanis lieutenant governor of Long Island North, invited Dr. Harnick to assist in promoting St. Francis’s Student Athlete Cardiac Screening Program, which is free for student athletes in grades nine through twelve. In addition to discussing the cardiac screening program, Dr. Harnick spoke about other ways to prevent sudden death. With a portable defibrillator in hand, he demonstrated how to react when a heart incident happens. Kiwanians absorbed the information and asked questions regarding the Student Athlete Cardiac Screening Program, a project the New York State Kiwanis has been focusing on for the past two years. Dr. Harnick earned his medical degree from Eastern Virginia Medical School and completed his pediatric residency at Inova Fairfax Hospital for Children. After a fellowship in pediatric cardiology at Schneider Children’s Hospital, now Cohen Children’s Medical Center, he completed a senior fellowship in interventional pediatric cardiology at Children’s Hospital Boston/Harvard Medical School. Dr. Harnick holds an academic appointment with New York College of Osteopathic Medicine. He is a Fellow of the American College of Cardiology and the American Academy of Pediatrics, as well as a member of the Medical Society of the State of New York and the Suffolk County Medical Society/Suffolk Academy of Medicine. Before joining Pediatric Cardiology of Long Island in 2014, he served as an attending pediatric cardiologist at Mount Sinai Medical Center and Good Samaritan Hospital Medical Center. He resides in Great Neck with his wife and two children.